This is the stunning Triple Over Three Drawer Wardrobe from the amazing Ripley collection. 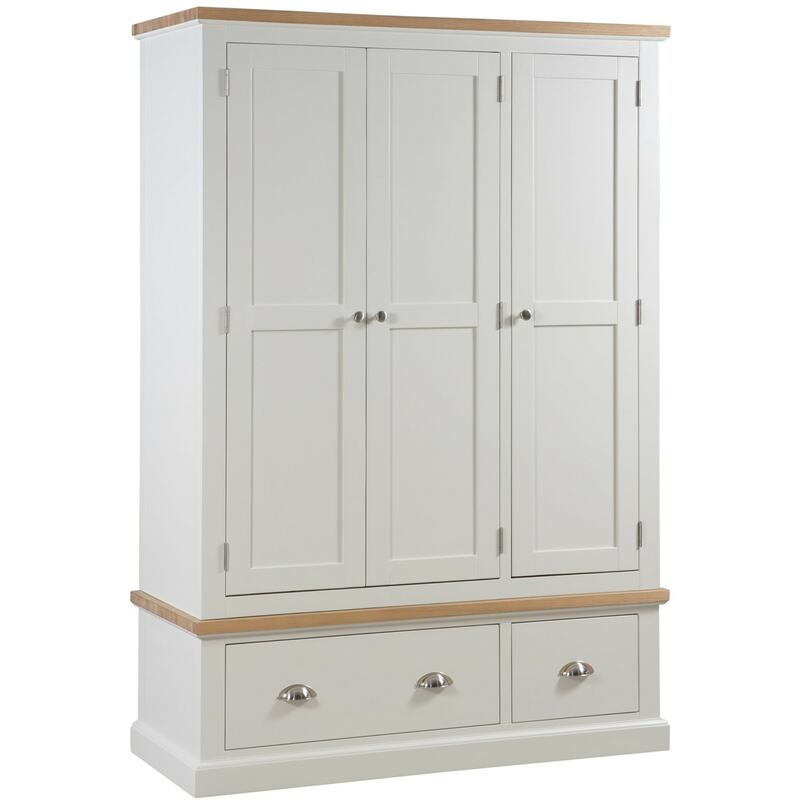 With triple storage space and three spacious drawers this a highly practical wardrobe providing ample storage and looks great too. Designed in a classic style with a contemporary twist in the form of chrome handles and finished in an off-white colour ensures this collection could be used in a range of interiors.